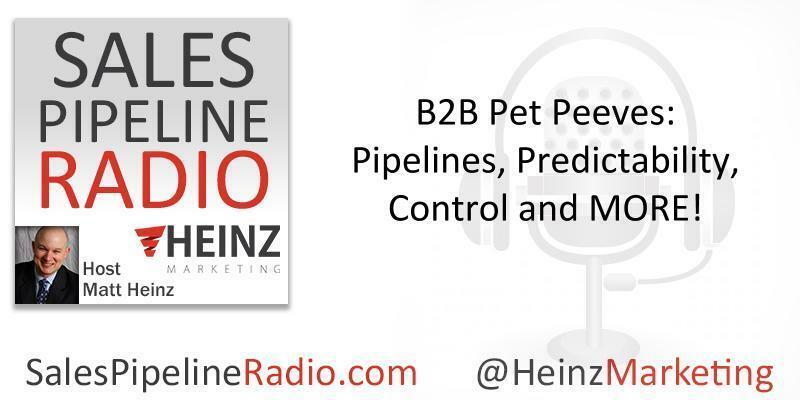 B2B Pet Peeves: Pipelines, Predictability, Control and MORE! Today, in the absence of our scheduled guest, our producer Paul Roberts and I talk about B2B pet peeves. We have a great time. JOIN US! Just one example: There have been books written about a predictable, repeatable, scalable engine of growth. A lot of venture capitalists have read those books and have then told their early stage companies, “If you just hire enough sales people and make enough phone calls, the math works out.” You have to start somewhere, so you start with the math and you start with the plan, but sales is never that easy. One of my pet peeves is someone who has never done sales, and never managed a pipeline, and never even carried a number say, “I read a book. Therefore, this is the way that we're going to sell,” right? I think that: A. books are great and books are important, but I think you've got to try new things. If everybody in the world just follows that book, then all of a sudden it becomes a little tough. Listen in to hear about other B2B pet peeves.... What are yours? Find the full transcription on our blog starting 6am PST on Monday, 6/11 and beyond. 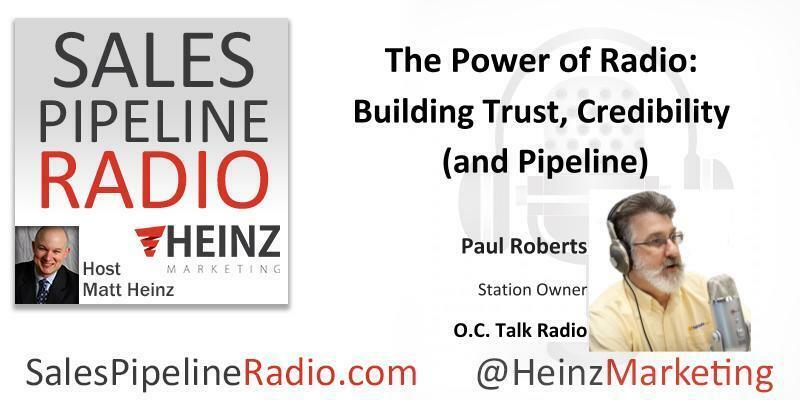 Our scheduled guest was unable to make the live show... so host, Matt Heinz, talked with Paul Roberts, the announcer for Sales Pipeline and had a great conversation! Listen in now for our impromptu and insightful conversation!